Hi, my name is Chad Rose. Out of my home garage (and occasionally my driveway) in Toledo, Ohio, I have built one of the quickest BMW 335xi's in the country. When I originally purchased the car, I never intended to build it into a fast drag car. However, the first time I pulled into those staging lanes, I was hooked into one of the world's greatest, most addictive and most expensive hobbies. Welcome to part two of my BMW E92 drag build.  If you didn’t catch my introductory post, you can read it here. Since then, quite a bit has happened and there's still more to do. Almost immediately following the drop of that intro blog, I found out that there are a lot more competitors to the 335xi quarter-mile record than I anticipated. Also, I discovered that I wasn’t very far ahead if any at all. So, I had to make some decisions to make my car more competitive, and more importantly, consistent, for this year. The biggest goal for 2019 is to break, and hold onto, the BMW xDrive platform record of 10.917 seconds. In this part two of my build saga, I’m going to break down what I’ve done thus far. I know that I laid out a rough framework of plans at the end of the last blog, and I am still trying my best to follow through on most of them. However, like anyone who's worked on their own car knows, plans change and will always continue to change. With that being said, after a lot of consideration, I decided that a built transmission wasn’t the most ideal route to take. For the cost of that one unit, I could buy ten low-mileage, used units. 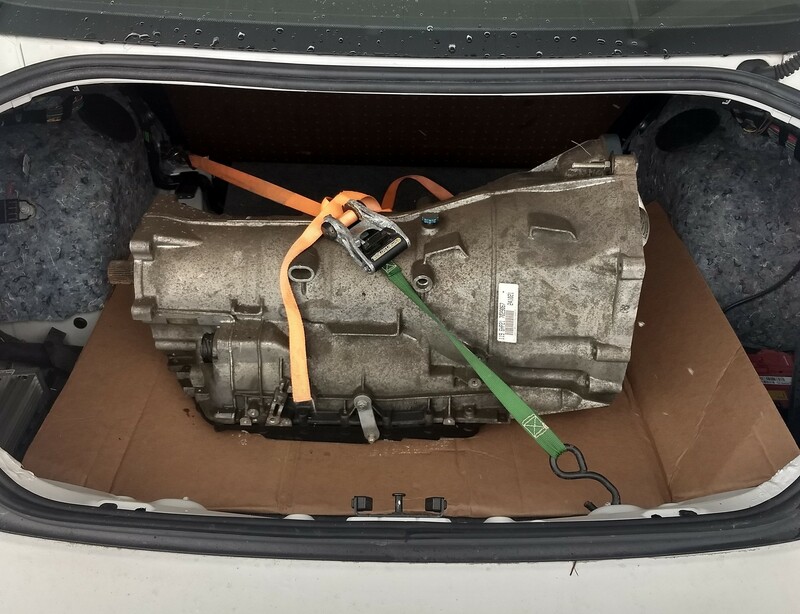 So, I prepped the car and made a trip to Illinois during one of the worst snowstorms of the winter to pick up a cheap transmission. When I got home, I replaced the commonly failed mechatronic sleeves, fluid, and filter with new ones that I purchased in a kit from FCP Euro. After that, I went through the process to install it into my car. After resetting the adaptations, I took the car out for a couple of test launches and high-power gear changes in which It worked flawlessly. The satisfaction of not feeling any transmission slippage got me really excited for this season. With the new transmission installed, I needed to protect it from meeting the same fate as the previous unit. To do so, I purchased and installed a high capacity transmission fluid cooler. This will keep the temps down inside the transmission and allow the cool fluid to lubricate the clutches and pressure plates better, thus (hopefully) extending its life. The car also developed a coolant leak due to a crack in the water pump housing. While I had the bumper off with the car in the air, I went ahead and replaced it, along with the thermostat, which I purchased as a kit from FCP Euro. Another thing I did while the bumper was off was a little bit of weight reduction by removing the headlight washers and lines. Everyone knows that the only way to make your car faster is to increase the power to weight ratio. The easiest and cheapest way to do that is to make your vehicle lighter. My approach to weight reduction (while maintaining a streetable car) was to sit in the driver’s seat, look forwards and check my mirrors. After that, I told myself to delete everything that I didn’t see. 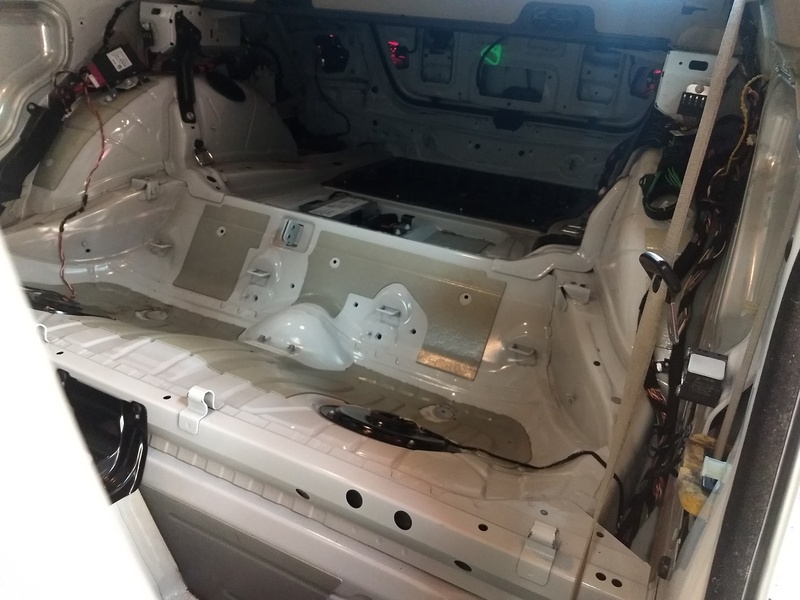 Now I have a half-gutted interior and an entirely gutted trunk space. Are there more rattles and louder road noises? Yes. Is it going to be worth it? Yes. Some non-scientific math has equated that for every hundred pounds you drop from your car, you also drop a tenth of a second in your quarter-mile et. I have yet to put the car on any scales, but I estimate that I pulled out a couple hundred pounds from the car. There will be more to come in this area. 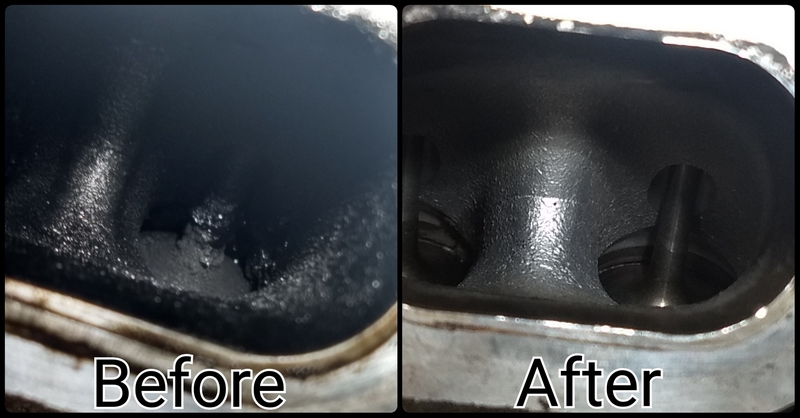 Highlighting other plaguing issues of the N54 engine is the fact that Direct Injection engines don’t keep their intake valves clean. When the valves become overly "gunked" with carbon build up, it can cause a myriad of problems ranging from decreased fuel economy to misfires. 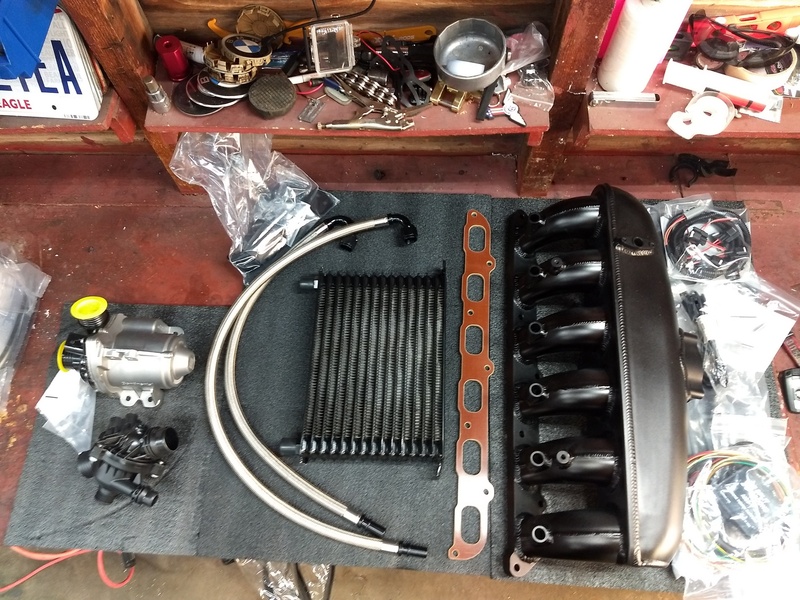 To overcome that and receive the precious horsepower I was being robbed of, I purchased all the equipment to perform a walnut blast and clean out the carbon build up from my valves. This maintenance service can free up to thirty horsepower and isn't difficult to do yourself. After putting my car on a diet, making it lighter and healthier, the obvious and logical next step was to make more power—there was a slight problem, however. I was already pushing the limits of my fuel system, which in turn was limiting how much boost and timing I could give the engine. To pump my numbers up, I had to pump up my fueling… literally. 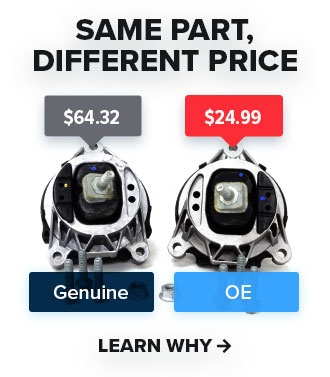 A common issue on higher horsepower N54s is that the high-pressure fuel pump (HPFP) can’t quite keep up with the demands of ethanol. To help the HPFP, I have to upgrade the LPFP (bet you can’t guess what that stands for). I had already done so, yet it wasn’t enough for what I need to do. To fix this, I added an auxiliary port injection fuel system to help deliver more fuel to each cylinder. 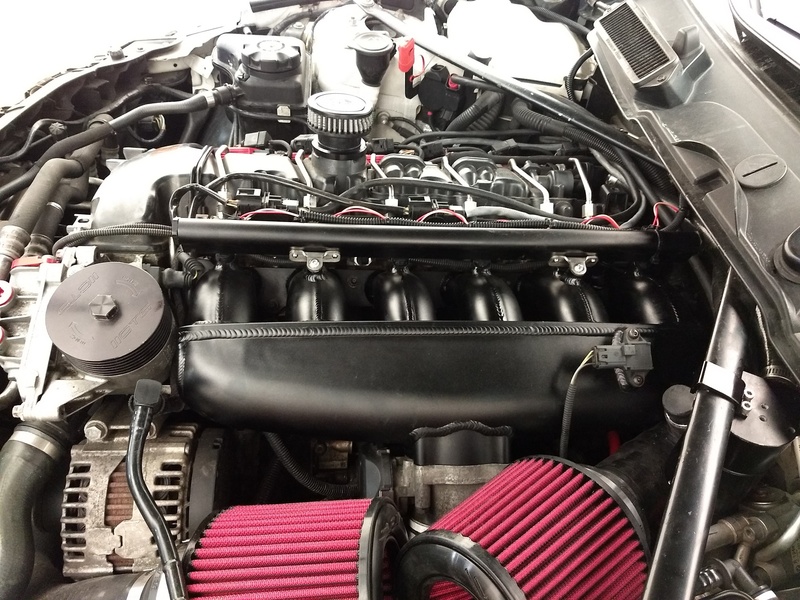 This system came in the form of an aftermarket aluminum intake manifold with a fuel rail built into it. After talking with my tuner, Justin Whitted, I pieced together the most viable management system. I installed a phenolic spacer to help reduce heat soak of the intake from the engine head and wired in the Split Second AIC2 to control the additional injectors. This should give me all that I need to utilize the full effects of E85 fuel and turn up my boost and timing. With all that’s been done in this last month, I'm confident that my BMW 335xi will run a quicker time than the current record. We'll have to wait and see as the season is just starting to kick off at the drag strip. Thanks once again for reading and following along with my build. If you want to continue following along on my build or check out other builds like mine, check back here often and subscribe to our YouTube channel.